Cleckheaton-based brake friction manufacturer, TMD Friction, visited Bradford Industrial Museum today to celebrate the progress made on the continuing photographic archive digitisation project. In recognition of the work undertaken by the photo archive team, and the donation made by TMD Friction, the firm’s CEO, John Hudson, visited with Councillor Sarah Ferriby, Portfolio holder for Environment, Sport and Culture and Maggie Pedley, Museums & Galleries Manager. To help execute the project, TMD Friction donated state-of-the-art photographic and scanning equipment, which allowed the photo archive team to continue processing the prints and negatives currently held in the museum’s archives. The equipment, which has helped to speed up the process, included a Canon EOS 5DS R Digital SLR Body camera, one Canon lense with two extenders, a 21.5-inch Apple iMac, an A2 lightbox, Capture One image capture software and copy stand equipment. More than 18,000 of the over 500,000 negatives and prints in the archive are of historical interest to TMD Friction as its Textar, Mintex, Don and Pagid Brands were taken by the commercial photographer, CH Wood & Sons, that were based in Bradford from 1922 – 1970s. John Hudson, CEO of TMD Friction, said: “Formally known as BBA before becoming part of the global TMD Friction Group, our Cleckheaton-based company still maintains its strong reputation with some of the most famous brands in the market for passenger cars, commercial vehicles, motorsport and industrial brake applications. 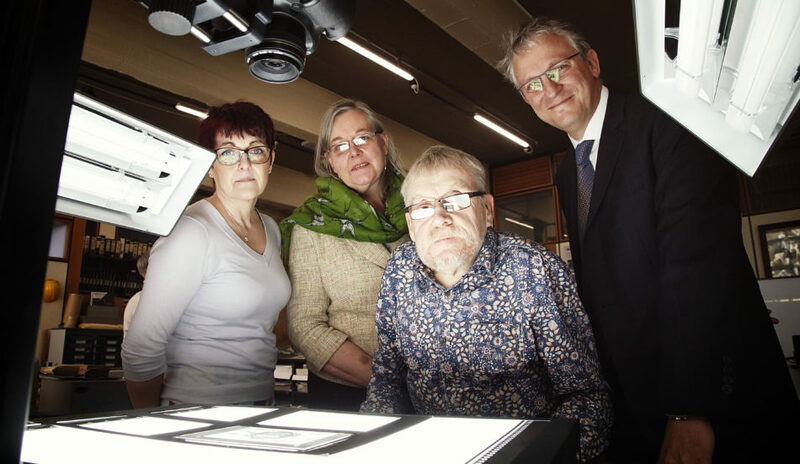 The equipment has helped to accelerate the digitisation of the images, which will allow for greater public access to the online archive once complete.